Anyone who enjoys the outdoors will love these cards for playing your favorite games or to use as flash cards. Based on the top-selling Rocks & Minerals field guides by Dan R. Lynch, this gorgeous deck features full-color photographs of 54 different specimens - some of the most sought - after types found in the United States, like agates, quartz, and gold. 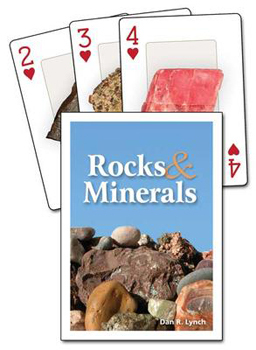 Play your favorite card games while learning to identify rocks and minerals. The deck is a fun and thoughtful gift.